Are these the cutest corncobs ever or what? I whipped these up with my NEW Cricut Explore Air 2 and I must say...I'm impressed!! That's right! There is a a NEW Cricut on the block my friends and I absolutely LOVE it! 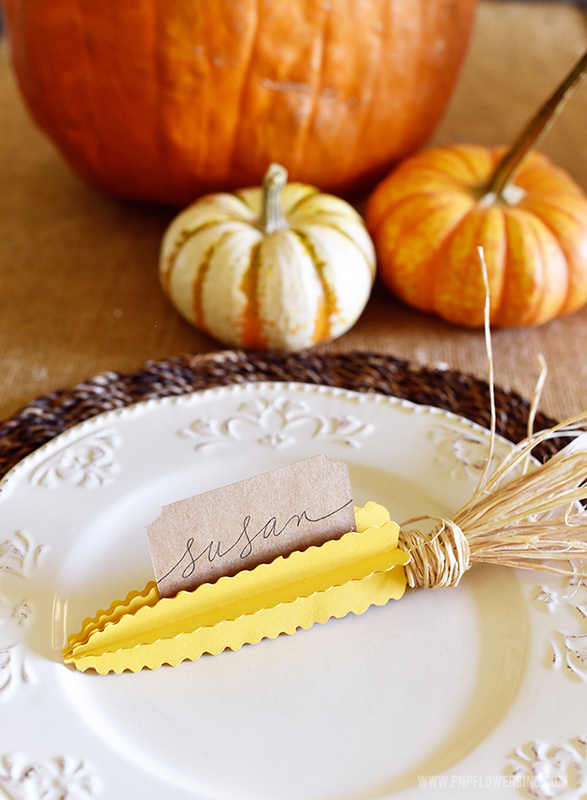 Anyway, you can use these cute paper corncobs as place card settings for your Thanksgiving table OR you can use them around your home to add some extra charm to your collection of pumpkins and Fall leaves. Best part is, you only need a few supplies to create these! Kraft card stock for cutting place cards. If you can't get the link to work for my custom corncob file, all I did was customize the 3D Intricate Corn file by eliminating all layers except for the solid corncob layer. I deleted all but one corncob and merged the two separate corncob pieces into one. I also enlarged the corncob to be 6 inches in length and then copy + pasted until I had the number of corncobs I needed. To create the place card file for cutting, I searched "place card" in Cricut® Design Space and chose one that most resembled what I was looking for. Then I resized it to be 3.25" x 1.9"
2. Use hot glue (or adhesive of your choice) and this .pdf file to assemble. (don't freak out...the instructions are for an acorn but the same concept applies). 3. 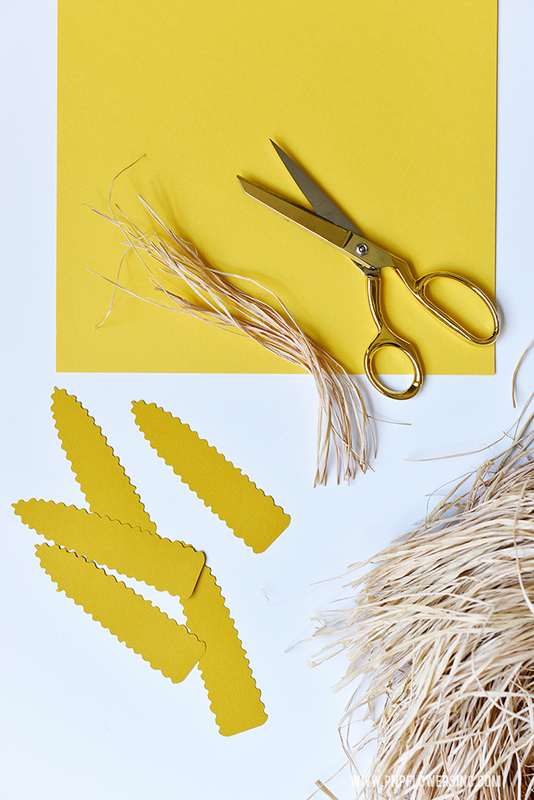 Cut a long bundle of raffia and knot one end. 4. 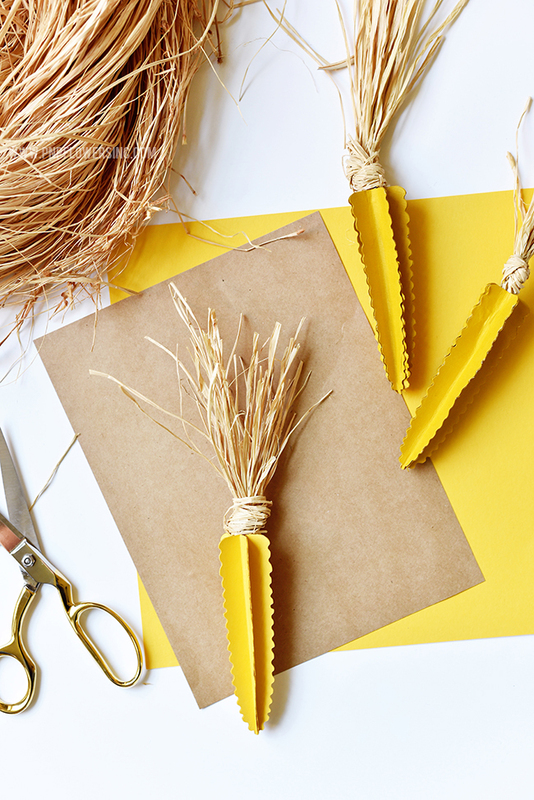 Apply hot glue to open end of corncob and insert short end of knotted raffia to create cornhusks. 5. Squeeze together to seal and secure. 6. 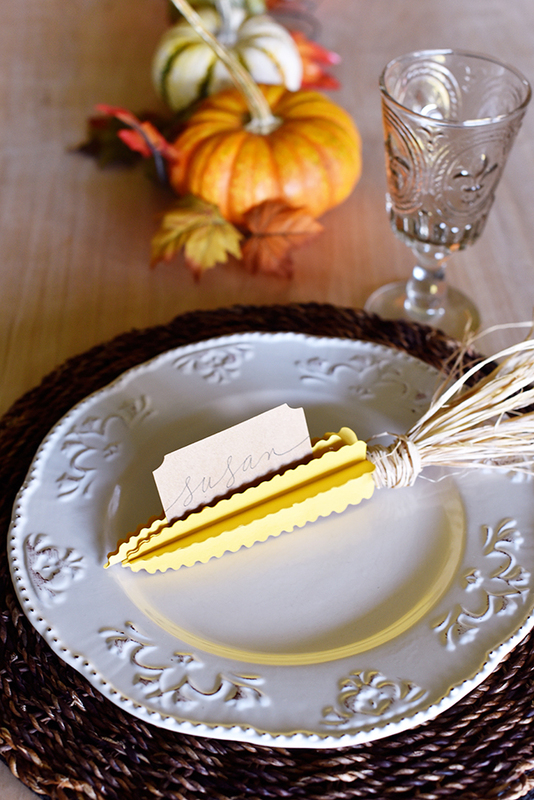 Display place card if desired or simply display with pumpkins and Fall leaves. 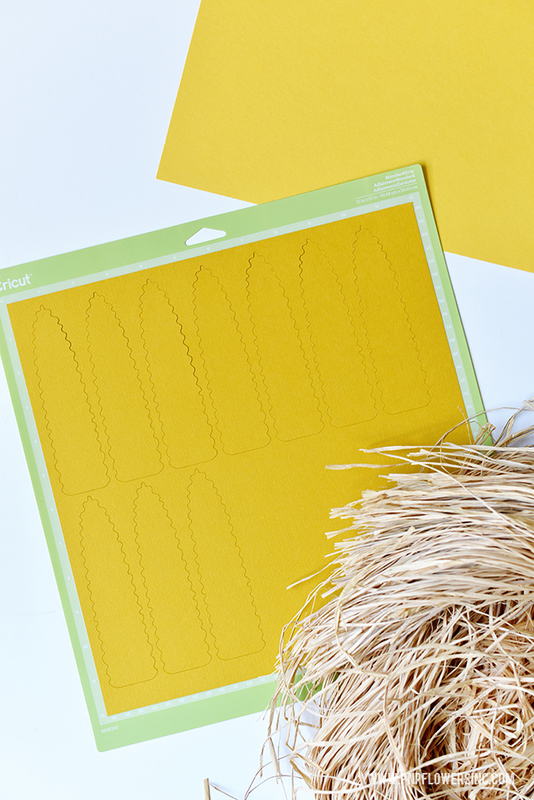 If you are using these for place cards you can cut some out using kraft card stock and then hand-write them using your Cricut® pen. TIP: You can also create a file in Cricut® Design Space to have the machine write names or even just Fall sentiments like "grateful", "thankful" or "blessings". 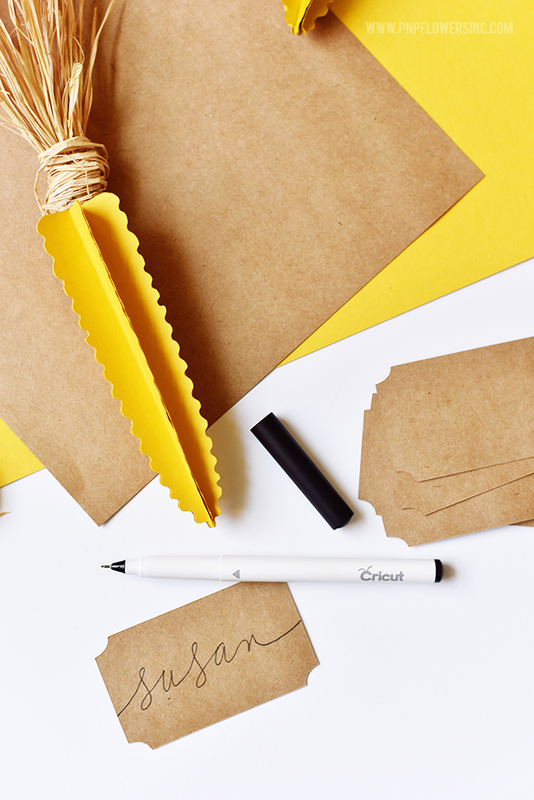 how about using white card stock instead of yellow and then use chalk to create the perfect mix of yellows and browns for Fall. Yes? 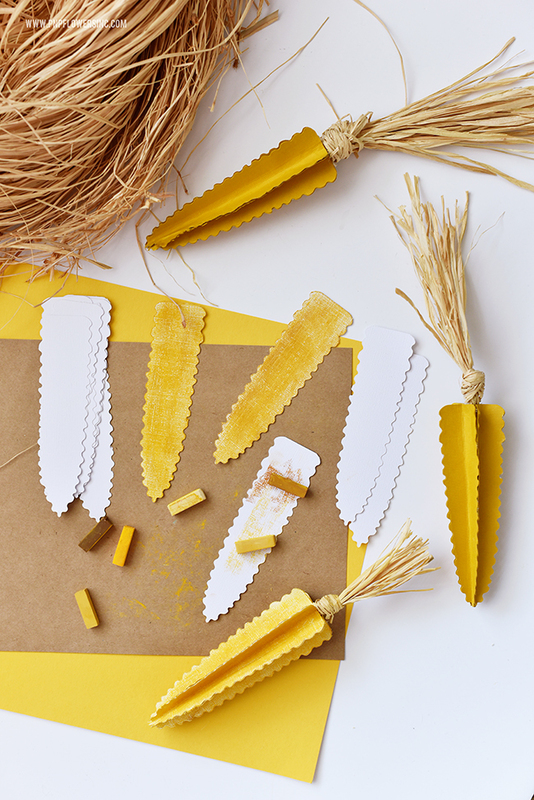 Just rub a mix of fall chalk colors onto the white paper corncobs and blend with your fingertips until you reach the desired result. I love that it mimics a watercolor effect. So pretty! 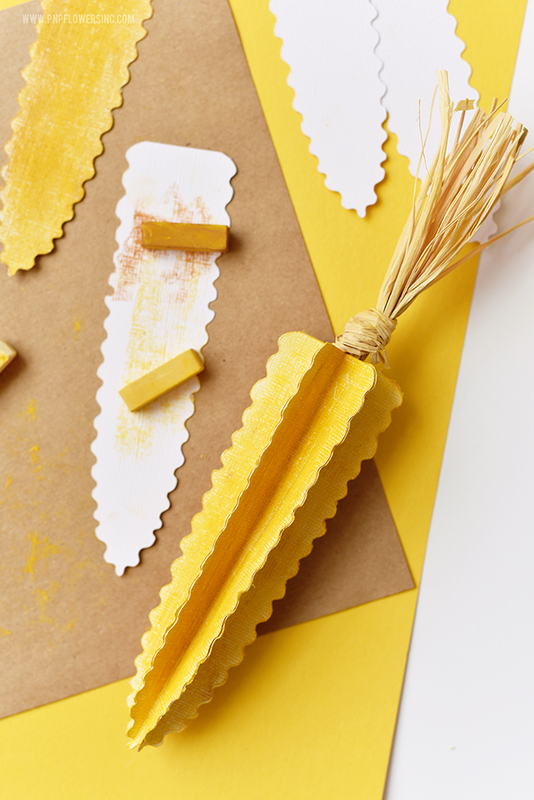 No matter if you keep it simple and use yellow card stock or if you decide to go all out and add your magic using chalks...the results are too adorable!! 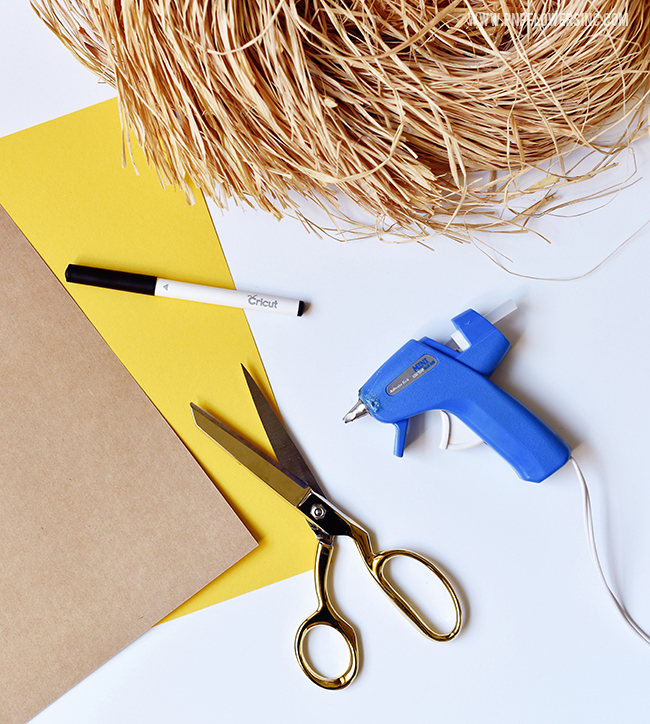 The hardest part about this project was just trying to decide what I wanted to make in the first place when I perused the thousands of pre-designed images in the Cricut® Design Space. Ha!! So yeah...if you are already creating your Christmas wish list...I think you're going to want to make sure this is on it. I know you'll love it and will find so many ways to create fun, personalized things for your family and friends. With Ella's birthday party this coming Sunday, I've already determined I need to make her a personalized birthday girl t-shirt for her to wear AND a matching one for her American Girl Doll. So do you want to know what I love about the new Cricut Explore Air 2 compared to my Cricut Explore One? my very favorite thing about it...WIRELESS CAPABILITY! No more ugly cords across my studio hooking my Cricut® to my computer when it's craft time. Yay!! Want to know more about this amazing, beautiful machine? Check out this YouTube video to see more specifics. Love you guys and hope you are inspired to get started on your Fall decorating...if you haven't already begun. AND ESSENTIALLY FEEL WILL INSPIRE YOU TOO! You guys! It's soooo pretty! Not even kidding. I created this video using Snapchat and then posted it in my Instagram stories a couple of weeks ago. Cricut-Explore-Air-2-Mint-5117 from Jessica Kirkland on Vimeo.